In 1977, Francis Ford Coppola had his editor Barry Malkin make a seven-hour version of The Godfather for NBC television, he needed money to continue work on Apocalypse Now. 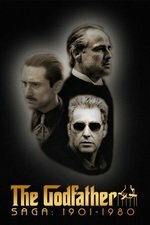 The Godfather Saga was a chronological compilation edit that combines The Godfather, The Godfather Part II and numerous extra scenes into one film. It originally aired on NBC over four consecutive nights. Due to network constraints, much of the violence had been toned down, and commercial breaks added. The Godfather Epic is the version with the commercial breaks removed and the violence that had been removed restored. I saw this on VHS back in the day. I thought I was sitting down to watch just "The Godather" and knew it was long but it just... kept... going. So it was accidentally my first exposure to the series. I didn't know it was coming back.. cool! I watched The Godfather Saga with a friend in college. He had never seen The Godfather; I grew up with it, and the Saga was the only version we could find on VHS. What I remember about it was how much it doesn't work. How much is lost by the lack of juxtaposition of the early scenes and the late scenes from Part II. It was like, "hold these themes and ideas and images in your head, then watch one of the best feature films ever made, then watch this next set of themes and ideas and images and compare them to the first set." Yeah, I've always considered this a really perverse re-edit, since it eliminates the really special and distinguishing feature that made The Godfather Part II arguably more compelling than the first film — the sophisticated narrative cross-cutting. This version exists because money and nothing else. But it is kind of neat that HBO is bringing it back in case people want to check it out. I saw this when it was shown on broadcast TV on a 13" B&W so it didn't seem all that epic at the time. I'll be interested in seeing this version on HBO (all seven hours of it). Obligatory "What Part III?" comment. That's from a couple of scenes of "Devils Advocate" they decided to Lucas in. If you're interested in The Godfather, I must recommend Coppola's commentary tracks.